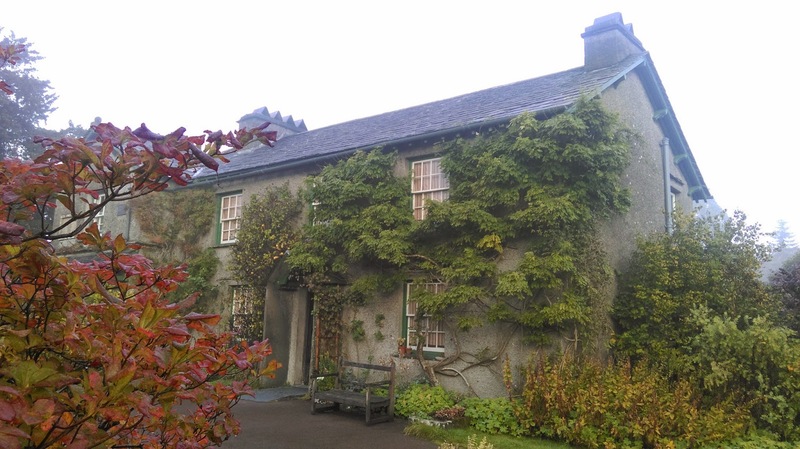 Hill Top house and the Beatrix Potter Gallery National Trust Team: Conservation with Coops! At the end of last month’s blog post I committed myself to discussing what we get up to when the front door is closed. 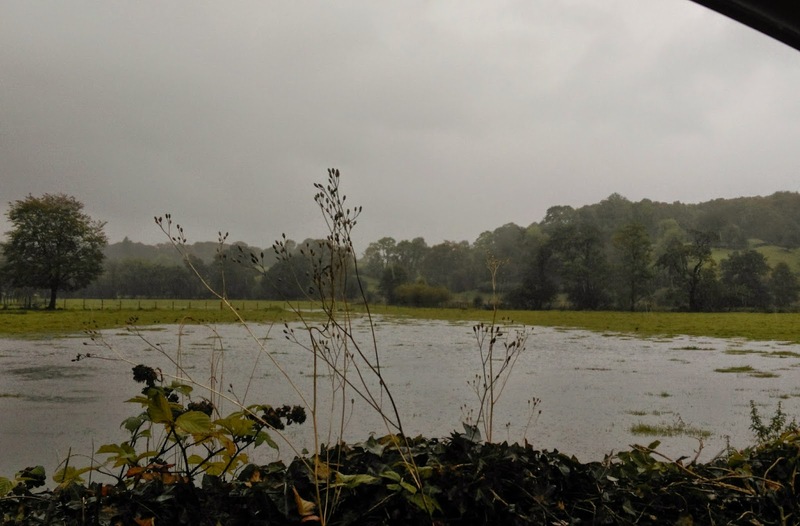 Pete’s blog may have talked about us having some glorious weather over the last couple of weeks but oh how things have changed. Winter is definitely upon us! We’ve had wind, rain, storms, flooding... more rain..
and although it's nearly Halloween and it's quite gloomy inside Hill Top at times, I promise this update won’t be tooo spooky. To my knowledge, the majority of historic properties that fall under the National Trust’s care close for one or two days a week during the season and then take one long nap over those chilly winter months. 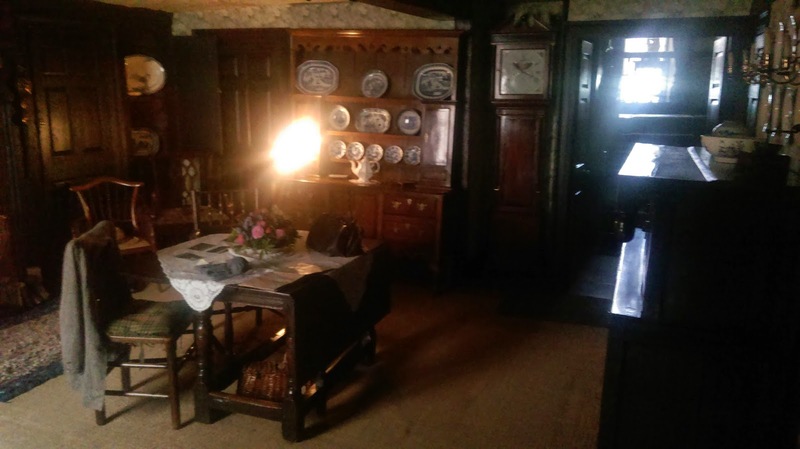 With the houses shut these periods can be a mysterious time for the historic house enthusiasts amongst us. Many, many, many, maaaannyy times (mainly from my own family!) I have been asked what we do during the days we are closed and as we are rapidly (a bit too rapidly for me, I mean, where has the year gone?!) approaching the end of the season I figured that this was the perfect time to share with you a little of what we get up to behind closed doors. My role as a Conservation and Engagement Assistant means a couple of things. The first thing is that I am one of those people you see dotted about a property during your visits who are on hand to ask any number of interesting and unusual questions to (between you and me, we absolutely love those!). The second is that I am also one part of a small team who are tasked with helping to look after the collection, mainly at Hill Top but also over at the Beatrix Potter Gallery and Wray Castle. Before I begin to explain a bit about how we care for B’s special things I think I should perhaps tell you some of the issues we face and a few of the aspects that we have to keep an eye on. One of the biggest issues is light damage. It’s a gradual thing but it has a cumulative and irreversible effect on objects and collections. Check out this wallpaper in Beatrix’s doll’s house. See that darker patch? Got any clues what it could be? Beatrix's Hill Top faces south meaning it gets lots of direct sunlight and the dolls house sits in the path of this light in front of the Treasure Room window. The darker area you see in the photograph is where something, perhaps a picture, had been hung on the wall and over the years the sunlight has faded the surrounding areas leaving the hidden part it's original colour. This sort of damage is permanent. This process is pretty common in homes, and I imagine you'll all be checking out your own wallpapered walls now (if you have them)! 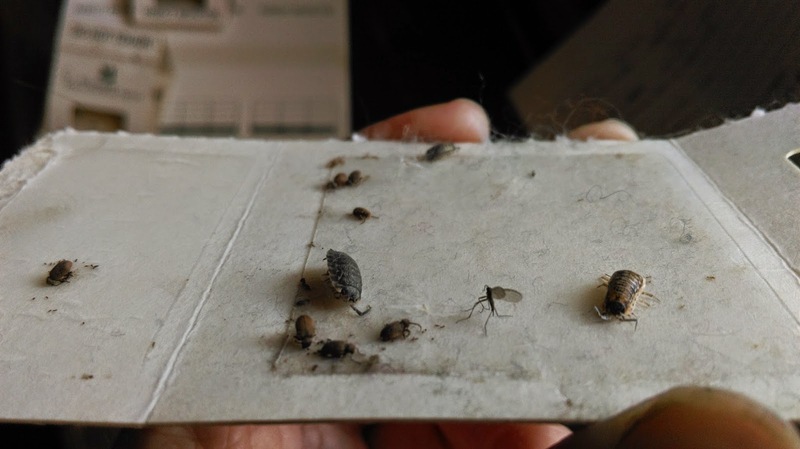 Another big (but small) issue we face is pests and periodically, we monitor our carefully laid sticky traps to keep an eye on which species we unwittingly house and how many of each we have – the ideal is none or a very small number! Oddly, it isn't the massive, humongous, scary looking ones that you should be concerned about but the teeny tiny 'I almost cannot even see it' ones. There is no need to fear the long legged things! (I hope that's what people think when they see me!) However, a little critter such as a woodworm beetle can destroy a whole range of objects as they graze their way through lots of damp and delicious wood. Yum! On a daily basis physical damage through general wear and tear is a big problem for our collection. Although we can keep tabs on our objects through the season, it's really through our closed periods that we are able to assess the condition that objects are really in. How convenient, this leads us nicely on to what we get up to on 'Friday closed days' (the title isn't very snappy I admit!). Friday's...they're funny days, full of jobs, tasks, lists and a few unexpected surprises. And although it can look quite quiet from the outside, on the inside it's busy busy. These days are like mini winter cleans where we methodically and meticulously remove objects from where they have been sitting through the week and give them (and the surface they were on) a thorough dust. Each object and surface is different and unique, so as well as having to be handled carefully they also have many different cleaning requirements. I have almost forgotten, there are also a number of tools we can use to keep the property in good health. Pony hair brushes, lint free dusters and a hoover are all the main staples of the daily routine but over winter we bring out a few more things. Don't get me wrong, I really do enjoy chatting to our lovely visitors but I love our closed days when we can get going on some behind the scenes work. The house is full of interesting bits and pieces (as I am sure you've seen through my posts) that we may not always see but it is at these times that I usually come across them and begin to whittle down what I want to use and include in my monthly post. I was a little stuck on who to include in this section this month but then I spotted him! I don't know why I've not really taken much notice of him before, I mean, being from Wales you would think I could sense a sheep at 50 paces! He is a little Staffordshire porcelain sheepy with a hollow tree trunk, painted fleece and face all tinted in appropriate colours. From what I've read he dates from about 1835. Nailed the model pose. A natural in front of the camera! I really enjoy my job, it's so varied and on a regular basis I encounter so many different tasks. A few of these include winding the beautiful clocks and carefully brushing dust off delicate plates. Not forgetting those hard to reach areas which require me to get on my tummy to wiggle under the bed! Not forgetting those more unglamorous jobs, bins.. toilets.. you get the picture. Generally we try to focus on one room each week and give it a more in depth clean which means we take the objects off surfaces to clean off the dust (and believe it or not some dead fly juice as was found on ceramics in the kitchen recently), dust the surface itself and place it all back. This rotation also gives us a fantastic opportunity to check for any new damage or problems that aren't always visible on a quick morning clean. It's not always straightforward, Friday is the only day we close so as you can imagine all the tasks and odd jobs are often squeezed into that day, so it can be pretty busy and a little hectic but no less enjoyable. So if this is how we roll on Fridays, what is our winter clean like? To be honest it's much the same, we still clean Beatrix's beautiful belongings but instead of putting them back some get taken down and are given a little rest before the beginning of next season. Oooh we also have those little extras, carefully cleaning the slate floor in the kitchen with a barely damp cloth. Until then, that's me over and out for another month. Have a wonderful Halloween with lots of spooky fun!